What does code P2015 mean? Code P2015 stands for Intake Manifold Runner Position Sensor Range Bank 1. The intake manifold sits on top of the engine between the cylinder heads. Runners inside the manifold deliver air to the engine via a series of runners. Many modern vehicles use what’s called an intake manifold runner control (IMRC) system. This system varies the manifold runner length by opening and closing a series of valves. This allows for fine-tuning of the engine’s air intake, resulting in better performance and fuel economy. The valves are controlled either by a vacuum solenoid or electric actuator. The powertrain control module (PCM) determines IMRC operation based on several inputs. One is the signal from the intake manifold runner position sensor. As the name implies, this sensor is used to determine the position of the IMRC valves. Code P2015 indicates the PCM has detected the bank 1 intake manifold runner position sensor signal is out of range. Bank 1 refers to the side of the engine with the #1 cylinder, whereas bank 2 refers to the side of the engine with the #2 cylinder. Inline engines, have only one bank – bank 1. Sometimes P2015 can pop up in error. Clear the code and see if it returns. If it does, the next step is to perform a visual inspection. A trained eye can check for issues such as broken wires and loose connections. If a problem is found, it should be repaired and the code cleared. If nothing is discovered, check for technical service bulletins (TSBs). TSBs are recommended diagnostic and repair procedures put out by the vehicle manufacturer. Finding a related TSB can greatly reduce diagnostic time. A technician will typically begin diagnosis of this code by monitoring IMRC system operation on a scan tool. When connected to the vehicle’s diagnostic port, the scan tool can communicate with onboard modules. The IMRC valves can be opened and closed with the scan tool with the push of a button. Data is also displayed on the scan tool regarding IMCR operation. This allows a technician to manually operate the valves while monitoring the data to so if the system is working properly. Once it’s confirmed the IMRC system is not working correctly, the reason why must be determined. A technician will start by testing the IMRC circuit. A digital multimeter (DMM) can be used to ensure both the sensor and actuator/solenoid circuits are intact. If a problem is found in the circuit, the factory wiring diagram will need to be traced. Then, once the problem area has been located, the open/short circuit can be repaired. The next step is to check the mechanical portion of the IMRC system. Some IMRC systems use manifold vacuum to open and close the runner valves, while others use mechanical linkage. Operate the mechanical linkage by hand to check for proper operation. If it binds or doesn’t open the valves, the linkage or manifold should be replaced. With a vacuum controlled system, the runner valves can be opened and closed with a handheld vacuum pump. The pump is connected to the intake manifold. If the valves don’t operate as designed during this test, the manifold is probably defective. In both cases, the intake manifold may need to be removed to verify the runner valves are opening and closing properly. Note: It’s also a good idea to check the vacuum hoses on system that’s controlled by engine vacuum. P2008: Code P2008 indicates the PCM has detected an open in the bank 2 intake manifold runner position sensor circuit. 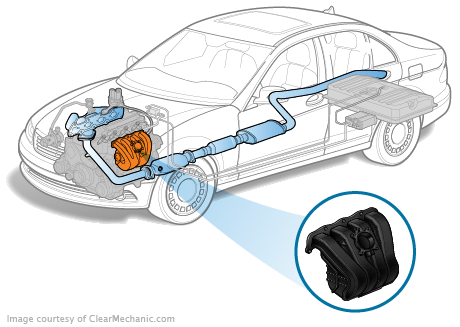 P2009: Code P2009 indicates the PCM has detected a low signal from the bank 1 intake manifold runner position sensor. This typically indicates a short circuit. P2010: Code P2010 indicates the PCM has detected a high signal from the bank 1 intake manifold runner position sensor. This typically indicates an open circuit. P2011: Code P2011 indicates the PCM has detected an open in the bank 2 intake manifold runner position sensor circuit. P2012: Code P2012 indicates the PCM has detected a low signal from the bank 2 intake manifold runner position sensor. This typically indicates a short circuit. P2013: Code P2013 indicates the PCM has detected a high signal from the bank 2 intake manifold runner position sensor. This typically indicates an open circuit. P2014: Code P2014 indicates the PCM has detected a problem with the bank 1 intake manifold runner position sensor circuit. P2016: Code P2016 indicates the PCM has detected a low signal from the bank 1 intake manifold runner position circuit. This typically indicates a short circuit. P2017: Code P2017 indicates the PCM has detected a high signal from the bank 1 intake manifold runner position circuit. This typically indicates an open circuit. P2018: Code P2018 indicates the PCM has detected an intermittent problem with the bank 1 intake manifold runner position sensor. P2019: Code P2019 indicates the PCM has detected a problem with the bank 2 intake manifold runner position sensor. P2020: Code P2020 indicates the PCM has detected the bank 2 intake manifold runner position sensor is out of range. P2021: Code P2021 indicates the PCM has detected a low signal from the bank 2 intake manifold runner position circuit. This typically indicates a short circuit. P2022: Code P2022 indicates the PCM has detected a high signal from the bank 2 intake manifold runner position circuit. This typically indicates an open circuit. P2023: Code P2023 indicates the PCM has detected an intermittent problem with the bank 2 intake manifold runner position sensor.